Have you looked at your vehicle lately? Does it look as shiny as it did when it was brand new? If not, CardinaleWay Volkswagen in Corona explains how you can maintain your car’s paint job. Volkswagen Dealers Southern California will tell you that your vehicle’s exterior appearance is the single most important factor for resale. If your vehicle’s paint job is dull or there are visible dents or dings, people are less likely to give it a second look. 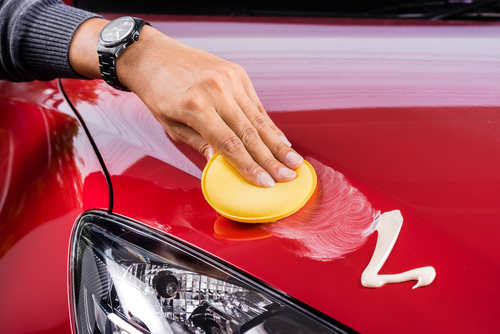 The best way to protect your vehicle’s paint job is to wax it periodically. Ideally, every six weeks is a good benchmark for giving your car a wax treatment. Consistently applying a coat of wax to your vehicle will prevent corrosion or rusting. It will also protect the vehicle’s paint job by providing a coating that will help repel insect residue, bird droppings, tree sap, grease or other contaminants from the road. There are several different types of waxes available and it is often difficult to determine their effectiveness. Generally, paste wax is considered the best and safest wax you can use to return the sheen to your vehicle’s paint job. The top brands of paste wax recommended by Consumer Reports include Mothers, Turtle and Meguiars. When using paste wax, be sure to apply it evenly and avoid getting it on anything that is not your vehicle’s paint job. Avoid using rags or towels for buffing. Instead, invest in some microfiber towels and you’ll be amazed to see the difference. When you’re ready to purchase your next vehicle, consider bringing your car to CardinaleWay Volkswagen for a trade-in deal. Remember to present your vehicle in its best condition — a shiny exterior and clean interior. CardinaleWay Volkswagen has an outstanding selection of the latest Volkswagen models and preowned Volkswagen vehicles for you to consider. Perhaps you’d be interested in the 2017 Volkswagen Beetle or the 2017 Volkswagen Passat. Let our friendly Sales team help you find the perfect vehicle that will fit your family’s lifestyle and budget. The 2017 Volkswagen Golf R cranks it up a notch with a 2.0-liter, 4 cylinder engine with 292 horsepower and 6-speed DSG automatic transmission. That’s not all that it has going in its favor. The “R” in its name surely must stand for the Race mode that can be switched on to amplify its performance. You’ll experience the thumping power as its kicks into high gear. Be forewarned, driving just became fun again! You’ll love the twin screens in the cockpit providing all the information you can possibly want. There’s the 12.3-inch Active Info display and the 9.2-inch Discover Pro system with Apple CarPlay capability. Executed flawlessly, Volkswagen’s technology takes you anywhere you want to go. All-wheel drive (AWD) is the smart choice for the 2017 Volkswagen Golf R. Ride in comfort as it transitions easily between back country roads, highway driving or curving mountain byways. You’ll also discover that AWD is great on rain-slicked roads or a wintry mix. The 19-inch alloy wheels will traverse well and get you where you need to go. We invite you to stop by and visit us at CardinaleWay Volkswagen in Corona. Browse our extensive inventory of the latest Volkswagen models and preowned Volkswagen vehicles. We encourage you to take the 2017 Volkswagen Golf R for a test drive. 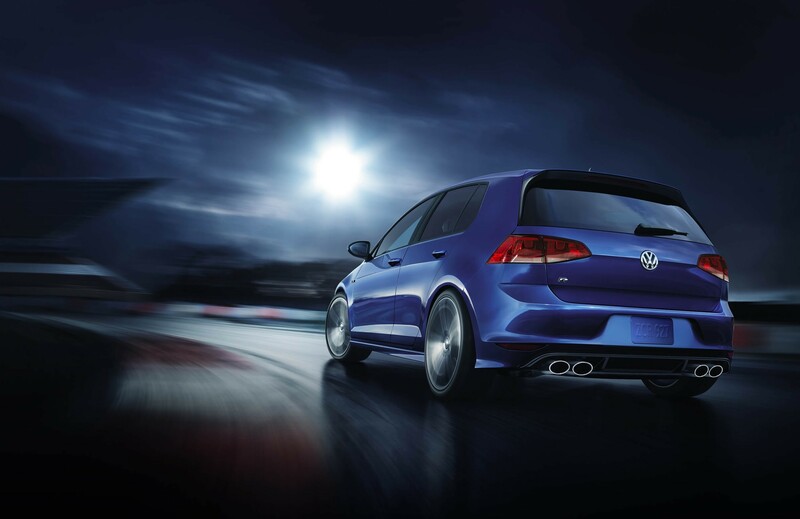 Don’t take our word for it — we’re confident that the VW Golf R will make a believer out of you. Talk to our Sales team and Finance department for assistance in making the 2017 Volkswagen Golf R your next vehicle. Wood Ranch BBQ & Grill, located at 2785 Lakeshore Drive, has a nice selection of barbecue offerings. 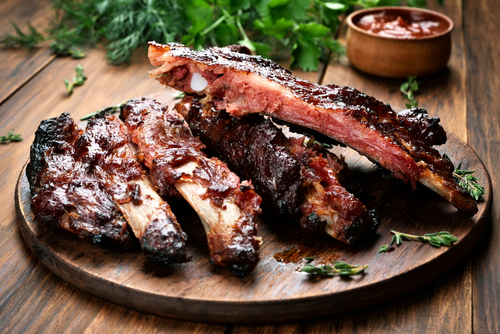 Order the BBQ combo plate with brisket, baby back ribs and pulled pork. They’ve also got a kicker BBQ cherry Chipotle sauce if you want to spice things up! Load up on their garlic butter and herb rolls. We guarantee you won’t go home hungry. Country BBQ, located at 2276 Griffin Way, is an all-you-can-eat Korean barbecue joint. It’s BBQ with a Korean twist, so you’ll find an array of Asian cuisine on the buffet line. Be sure to sample the beef brisket — so tender and tasty, you’re sure to want seconds. Gen Korean BBQ House, located at 390 N McKinley Street, is another all-you-can-eat Korean barbecue restaurant. Enjoy the fun atmosphere as you help prepare your meal on one of the grills right in front of you. You can choose from a large selection of meat and vegetables. If you’re a fan of AYCE places, definitely check out Gen’s. If you’re in the market for a new vehicle, don’t delay — boot scootin’ boogie on down to CardinaleWay Volkswagen in Corona. We’ve got a fantastic selection of the latest Volkswagen models from the 2017 Volkswagen Passat to the 2017 Volkswagen Golf R. There are also high-quality preowned Volkswagen vehicles for you to choose from. Ask our Sales team about our current specials. Wouldn’t you like to drive home in a Volkswagen today? 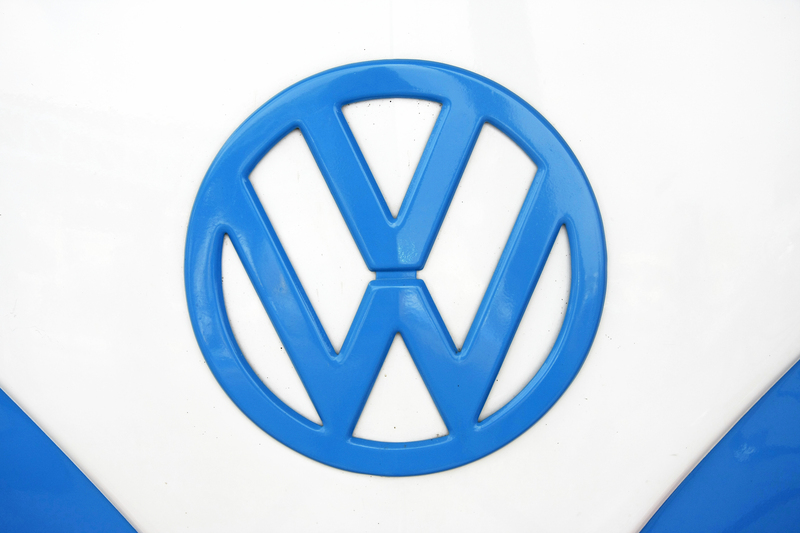 Californians can rejoice that Volkswagen will pick up the tab for $800 million dollars worth of clean vehicle infrastructure. 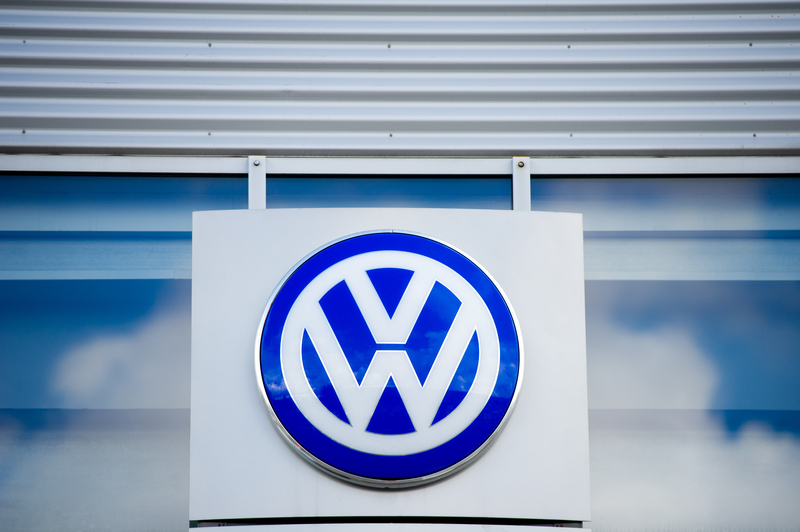 This comes as a result of a court settlement stemming from Volkswagen’s emissions scandal. 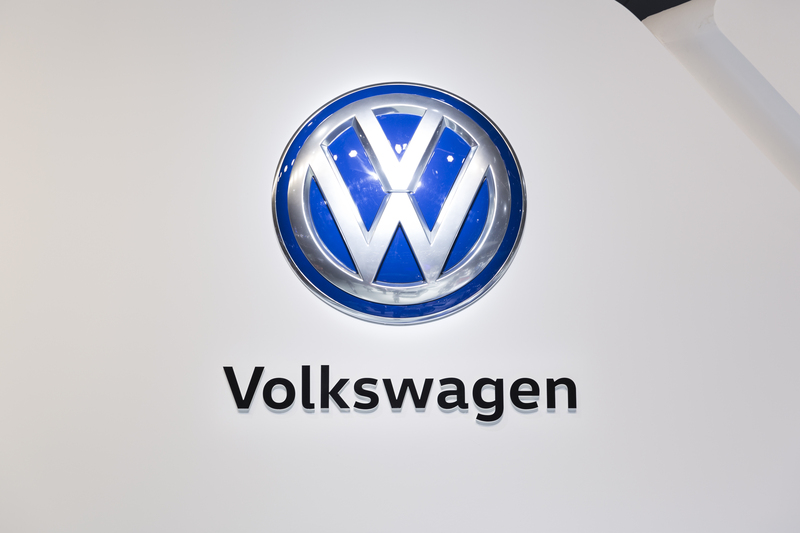 Volkswagen Dealers Southern California and CardinaleWay Volkswagen in Corona believe this is great news as it will help pave the way for the EVs (electric vehicles) of the future. For starters, Volkswagen already has approval to spend an initial $200 million dollars over the next 30 months in California for infrastructure that will support EVs. As an example, $45 million is earmarked for more than 350 charging stations in Los Angeles, San Francisco, Fresno, San Diego, Sacramento and San Jose. Ride-sharing vehicles and other clean energy infrastructure are also in the works. All of these initiatives will help spur the overall growth of infrastructure that will support EVs. It’s been announced that nationwide, Volkswagen must invest a total of $2 billion in providing clean energy infrastructure. The future is calling and it says you should consider buying a Volkswagen EV. Why not check out the 2017 Volkswagen e-Golf at CardinaleWay Volkswagen? If you want to get on board with an electric vehicle, the e-Golf is the perfect choice. In addition, Volkswagen expects to roll out an impressive line-up of EVs starting in 2018 and beyond. Volkswagen is committed to its forward-thinking vision of EVs. Come visit us at CardinaleWay Volkswagen. We’ve got a great selection of new Volkswagen models and preowned Volkswagen vehicles. From the 2017 Volkswagen Tiguan to the 2017 Volkswagen Passat, we have a vehicle for every lifestyle and budget. Don’t get left behind. Get behind the wheel of a Volkswagen and discover pure driving contentment. No one likes getting pulled over by the police for a moving violation. Let’s just admit it — we grumble because it’s an annoying inconvenience, humiliating and oftentimes costly. Volkswagen Dealers Southern California and CardinaleWay Volkswagen in Corona offer the following advice for how you can effectively deal with the police if you are pulled over. You know you’re guilty of exceeding the speed limit when you notice a flashing red light in your rearview mirror. Don’t try to feign surprise with the “Who me?” look on your face. Put your turn signal on and immediately pull over to the side of the road. Don’t get out of your vehicle. Remain calm and keep both hands in plain view on top of your steering wheel. Wait for the officer to approach your vehicle and then roll down your car window. It’s best not to cop an attitude, as arguing will get you nowhere. Instead, be respectful and do exactly as the officer instructs you to do. Wait until the officer asks you to produce your driver’s license, vehicle registration and proof of insurance. Flirting with an officer is never a good idea. Bribery is definitely prohibited. Crying and blubbering is even worse. However, sometimes saying, “I’m sorry” is precisely what our mothers used to call the magic words. If you get lucky and the officer lets you off with just a warning, be sure to thank him or her. 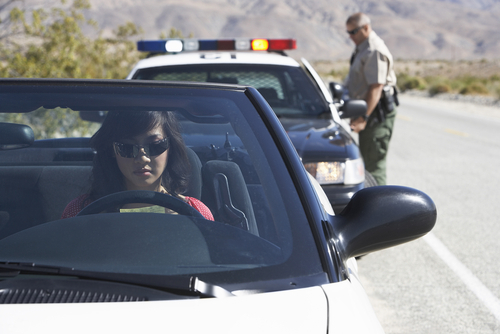 If you are ticketed for a moving violation, sign the citation that the officer presents to you. Read it as it will inform you of the charge, cost of the fine and where to mail in your payment. Alternatively, if you wish to contest the violation, the citation will tell you when and where you can appear in court. When the officer says you are free to go, put your turn signal on and merge safely into traffic. Be sure to pay attention and observe the speed limit. Place the citation in a safe spot and don’t forget to pay your fine! Come to CardinaleWay Volkswagen, where we value your business. We have an impressive selection of the latest Volkswagen models and preowned Volkswagen vehicles. From the 2017 Volkswagen Jetta to the 2017 Volkswagen Beetle, you’re sure to find the perfect vehicle. We want to be your one-stop dealership! Volkswagen’s full-size sedan, the VW Passat, is getting a sporty makeover. The result is a new addition to the Passat lineup, the 2018 VW Passat GT. Coming soon to dealerships near you, including Orange County Volkswagen dealers and CardinaleWay Volkswagen in Corona, we’re confident that consumers will love the all-new 2018 VW Passat GT. You won’t be able to resist the sportier design of the 2018 Volkswagen Passat GT. It features red accents interwoven in the vehicle’s grille, a black roof and spoiler and sport seats for front passengers. In addition, it has front-wheel drive as a standard feature. There’s been no word yet on whether or not there will be a 6-speed manual option. It’s powered by a 3.6-liter VR6 engine, with 280 horsepower. The suspension will also be lowered to give it a sportier feel. We’re excited about the new direction that Volkswagen has taken with the Passat. You’re sure to appreciate the souped-up attitude of the 2018 VW Passat GT! Put it on your “must see” list of new cars in 2018. Find out what you’ve been missing. Stop by CardinaleWay Volkswagen and browse our dealership lot. We’ve got all the latest Volkswagen models and preowned Volkswagen vehicles. From the 2017 Volkswagen e-Golf, an EV (electric vehicle) to the 2017 Volkswagen Tiguan, there’s something here for everyone. Check back with us often to find out when you can expect the 2018 VW Passat GTs to begin arriving on our lot. We hope you’ll return to test drive this latest sports sensation from Volkswagen. Owning a Volkswagen has never been easier or more affordable. Ask our friendly Sales team and knowledgeable Finance department to help you find the perfect Volkswagen. CardinaleWay Volkswagen Has The Perfect Stress-Buster For You – YOGA! Just Yoga, located at 163 W. Ontario Avenue, is the ultimate yoga studio where you can go to class and let your worries melt away. The trainers are fun and you’ll benefit from the calming effect of yoga. Clear your mind with meditation and discover tranquility. You’ll easily become addicted to yoga at Yoga Den, located at 1035 Montecito Drive. Sign up for a class and join the community of people like yourself, all wanting to find a way to escape the overwhelming stress of daily life. You’ll feel so good when you leave the studio. Don’t let the name fool you – just because it’s called The Pilates Co. doesn’t mean that it’s all Pilates classes. Located at 469 Magnolia Avenue, it offers a variety of classes, including yoga. Find your balance as you focus on your inner self. 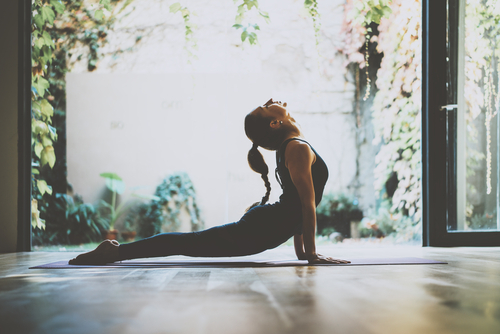 Make the connections to your mental, emotional and spiritual levels with yoga. Lokahi Yoga, located at 420 Princeland Court, is a beautiful yoga studio that you’ll absolutely love. They offer challenging yoga classes for various levels from beginners to those with more experience. For a vehicle that gives you a comforting ride, check out the selection of Volkswagens at CardinaleWay Volkswagen. From the latest Volkswagen models like the 2017 VW Jetta to the 2017 VW Beetle, unwind in the Volkswagen of your choice. We also have preowned Volkswagen vehicles that are affordably priced. Let us help you find the perfect Volkswagen. Volkswagen Bids Adieu To The VW Touareg In The U.S. In the latest development from the folks at Volkswagen, we learn that the VW Touareg will be discontinued in U.S. markets. The 2017 VW Touareg models will be the last of the line. 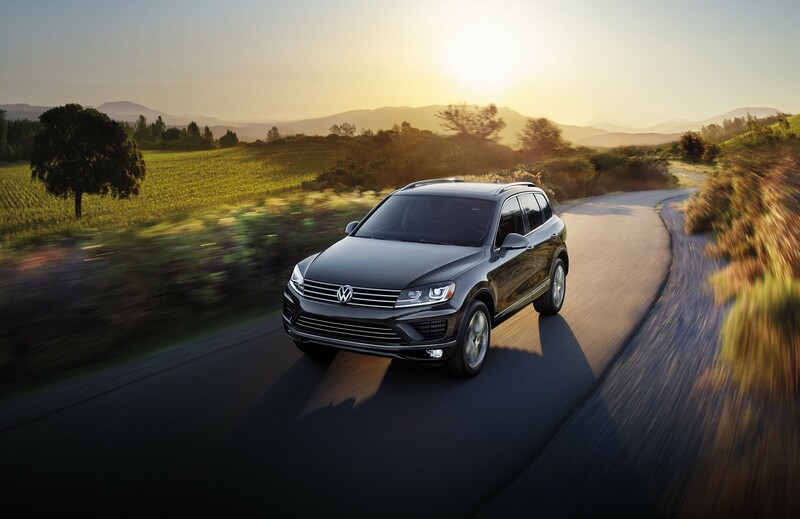 Orange County Volkswagen dealers, including CardinaleWay Volkswagen in Corona, encourage you to check out the remaining new VW Touaregs before they’re gone. Sometimes it’s difficult to predict what consumers want, as any savvy marketing expert will tell you. Such was the case with the Volkswagen Touareg, marketed as a luxury vehicle with a steep price tag. Unfortunately for Volkswagen, that marketing strategy backfired. Only 1,630 Touaregs were sold in the U.S. during the first half of 2017. The probable reason for lagging sales of the VW Touaregs is that high-end competitors offered their comparable SUVs for considerably less. Volkswagen plans to compensate for the loss of the Touaregs by introducing a compact SUV in the U.S. in the near future. It’s also expected that the new 2018 VW Atlas and 2018 VW Arteon models will be well-received. Not to mention, Volkswagen will soon be rolling out a full line-up of exciting EVs (electric vehicles). We care about what our customers want. CardinaleWay Volkswagen is here for you and we’d love to hear from you. Drop by and let us know what we can do better to make your shopping experience with us more meaningful. You’ll find that our Sales team, Finance department and Service technicians are top notch. Feel free to browse our dealership lots or test drive one of the latest Volkswagen models. Perhaps you’d like to try out the 2017 Volkswagen Beetle or the 2017 Volkswagen Tiguan. We also have an impressive selection of preowned Volkswagen vehicles. Ride in comfort and style with a Volkswagen, German engineering at its best. You’re stuck in traffic and it’s going to be a long commute to work. Or, during a summer road trip, the kids have asked for the umpteenth time, “Are we there yet?” Sure, you can crank up the music or listen to talk radio, but Volkswagen dealers Southern California and CardinaleWay Volkswagen in Corona have an even better solution to beating boredom during road trips and tedious commutes. 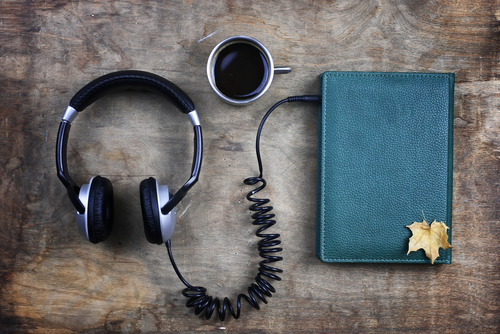 Why not listen to an audio book? It’s a great way to unwind and it’ll make the miles go by faster. Camino Island, the latest novel by John Grisham. This one is not Grisham’s usual legal thriller, but is a fascinating story nevertheless involving rare books. Thoroughly enjoyable and fast-moving. For families, a great choice is The Chronicles of Narnia, the classic novel by C. S. Lewis about a magical wardrobe and the adventures of Lucy and her siblings. Who can forget Aslan the wise lion? Sure to be a family pleaser. Or, consider Anne of Green Gables by Lucy Maud Montgomery, a timeless tale that possesses charm and merriment. You’re sure to find a kindred spirit in Anne Shirley. Hillbilly Elegy: A Memoir of a Family and Culture in Crisis is a moving story told by author J.D. Vance. He examines the Appalachian culture and how it affected him and others. Despite his cultural disadvantages, he rose above it and graduated from Yale Law School. If you’re looking for an insightful business audiobook, try listening to Never Split the Difference: Negotiating as if Your Life Depended on It by Chris Voss, a former FBI negotiator. Listen to his negotiating techniques that you can easily apply in your business or even in your personal relationships. For guilty pleasure, why not pick up the audio book The Identicals, a romance-comedy by the delightful author, Elin Hilderbrand? It’s about two adult twin sisters, Harper and Tabitha. You won’t be bored, we promise. Finally, for all of you horror fans, author Stephen King is the master. There’s so many of Mr. King’s titles to choose from, but why not start with It? There’s a reason people have a deep-seated fear of clowns. We hope you’ll visit us at CardinaleWay Volkswagen. Talk to our Sales team about our fabulous lineup of Volkswagen models from the 2017 Volkswagen Jetta to the 2017 Volkswagen Tiguan. Or ask about our preowned Volkswagen vehicles. You’re sure to find the perfect Volkswagen to fit your lifestyle and budget! One of the most eagerly anticipated new Volkswagen models expected to make its debut in 2018 is the Volkswagen Buzz, a microbus, part of the I.D. series of EVs (electric vehicles). Volkswagen Dealers Southern California and CardinaleWay Volkswagen in Corona are excited about offering a selection of EVs to our consumers who care about our environment. The Buzz microbus is patterned after the 1950s Volkswagen T-1 bus, referred to as the Bulli. That minibus could seat up to eight passengers. However, Volkswagen has brought the model back to the future. Not only is the Buzz an electric vehicle, it’s also driverless! There’s a square steering wheel and when the autonomous driving system is placed in gear, the steering wheel retracts into the instrument panel. If that seems unbelievable, you’ll be amazed to see seats in the 2018 Volkswagen Buzz microbus that swivel like chairs, and the third row seats can be converted into a bed. It’s a bold new design that’s sure to get a lot of attention! With a full line-up of EVs expected within the next year or two, Volkswagen is poised to lead the way in the future of electric vehicles. Check with our Sales team at CardinaleWay Volkswagen to find out when the new Volkswagen EVs are expected to begin arriving on our lots. You’ll want to be first in line to test drive these futuristic EVs. It’s an exciting time for automotive research and development. If you’re in the market for a new vehicle, visit us first and browse our great selection of the latest Volkswagen models like the 2017 Volkswagen Beetle or the 2017 Volkswagen Passat. Or see our exemplary preowned Volkswagen vehicles. Our outstanding Sales team and Finance department can help you drive home in a Volkswagen today.